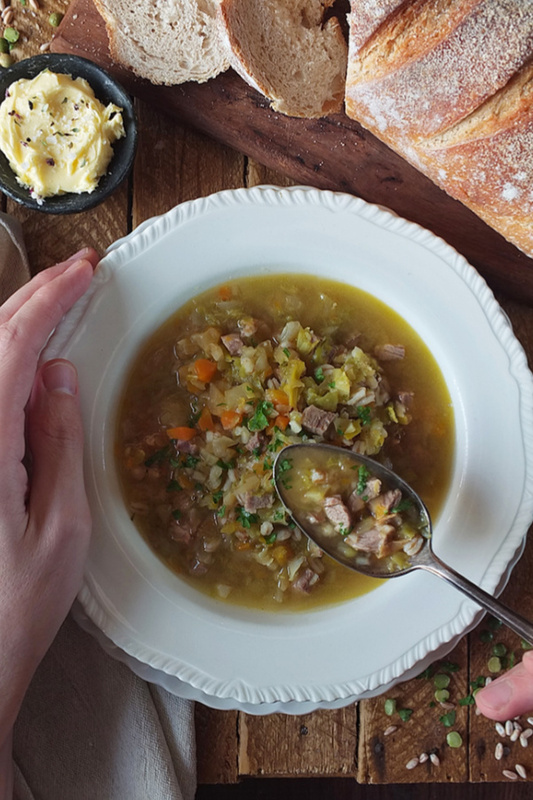 This leftover roast lamb soup is ready in just under half an hour if you use a pressure cooker. 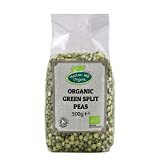 It makes for a perfect packed lunch to fill you up with plenty of vegetables, pearled spelt and green split peas. This recipe is in collaboration with Lamb, Try It, Love It. This post also contains Amazon affiliate links. As an Amazon Associate, I earn from qualifying purchases. 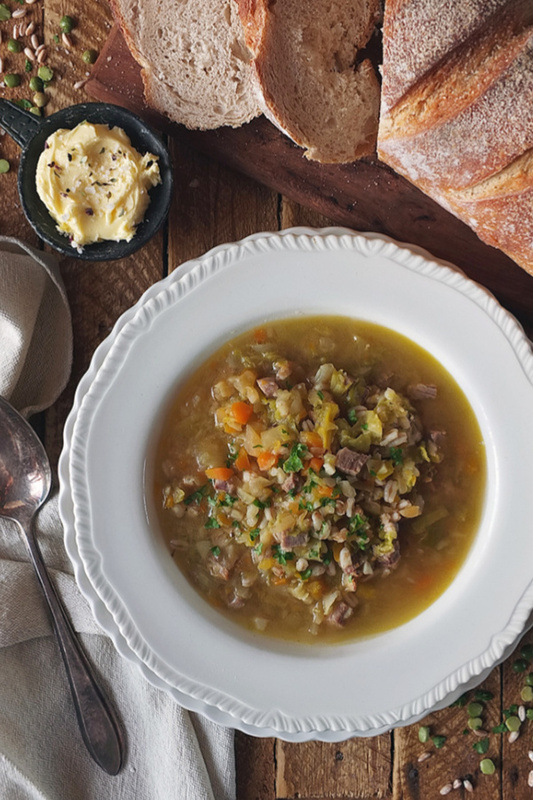 I don’t know about you, but this time of year when it’s crisp and cold outside, I crave hearty, warming soups. 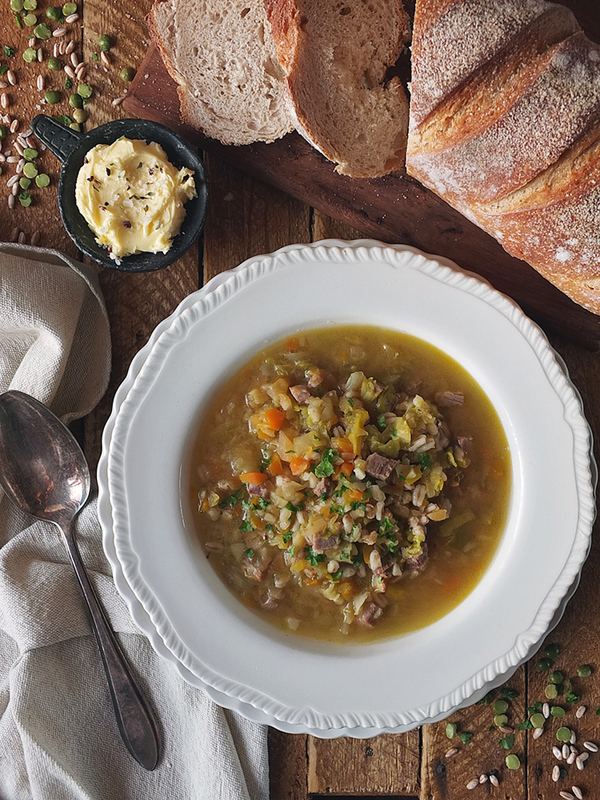 There’s nothing more satisfying than coming inside out of the cold to a steaming bowl of hot soup, with some fresh crusty bread to tear off and dip into it. This time of year I always try and use up the ingredients in my freezer and store cupboard. What with the expense of Christmas, followed by filing self-assessment taxes, I try and save a few pennies by using up the food already in the house instead of buying in more food. That’s where this recipe comes into its own. 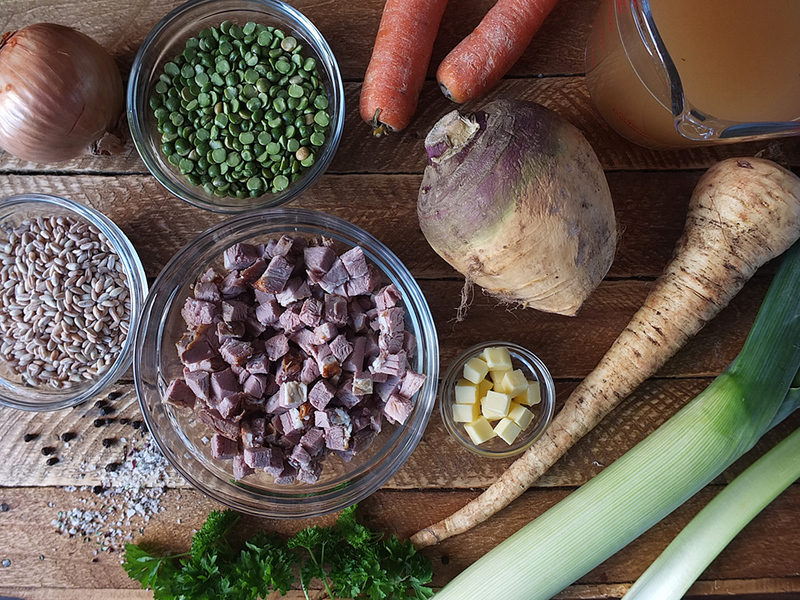 Made from plenty of seasonal root vegetables, store cupboard pulses and grains and leftover roast lamb from the freezer, this hearty and filling soup only takes ten minutes to cook using a pressure cooker. Step 1: heat butter in your pressure cooker bowl. Step 2: select SAUTE and set the timer for THREE MINUTES. Saute the onions, leeks, celery, carrots, turnips and parsnips. Step 3: Add the leftover cubed roast lamb. Step 4: Rinse the pearled spelt well and add to the pressure cooker bowl. Step 5: Rinse the split green peas well and add to the pressure cooker bowl. Step 6: Select SOUP and set the timer for TEN MINUTES. Allow the pressure cooker to depressurize and serve the soup garnished with fresh parsley if desired. 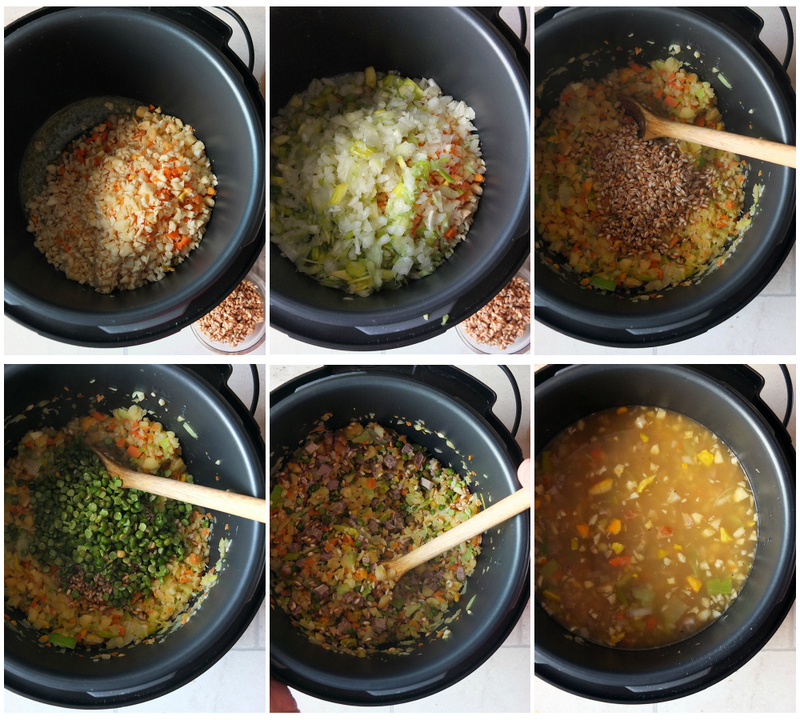 To save time while preparing this recipe, as there is potentially a lot of chopping involved, I use a mini food processor. Simply peel the vegetables, coarsely chop and give it a few whirls in the processor. I love the resulting chunky, rustic texture. 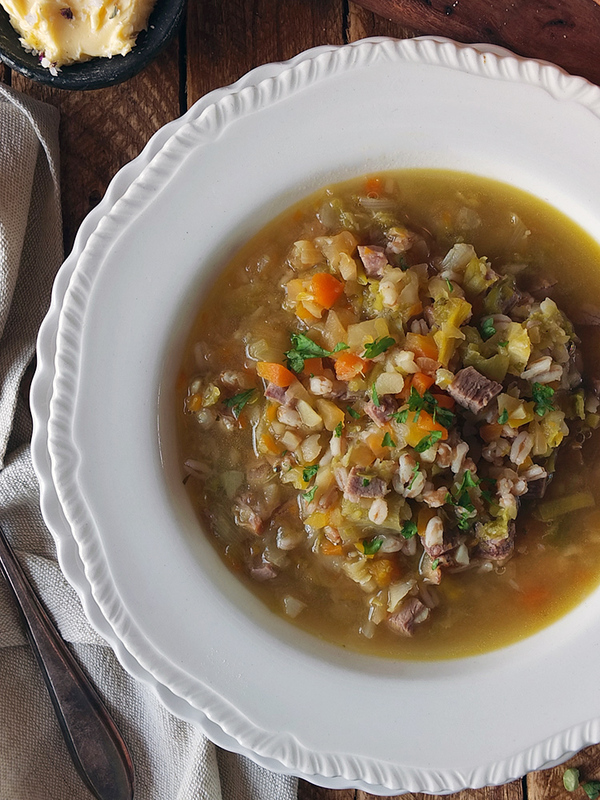 I’ve also used pearled spelt in this recipe, although you can easily replace this with barley for a more traditional Scotch broth style recipe. Pearled spelt and split green peas add some extra fibre and texture to the recipe, keeping you feeling fuller for longer after lunch time. This recipe would be perfect to keep in a soup flask for an office lunch, or reheated in the microwave at work. Leftover roast lamb (like my festive roast boneless shoulder of lamb with pistachio and orange stuffing) always gets cut into small dice and popped into the freezer in our house for a later day. I love it reheated with fried potatoes, cumin and black mustard seeds with a generous dollop of natural yoghurt on the side, or made into a quick and easy soup like this one. Lamb, Try It, Love It are here to banish the bland and help make dinner great again. 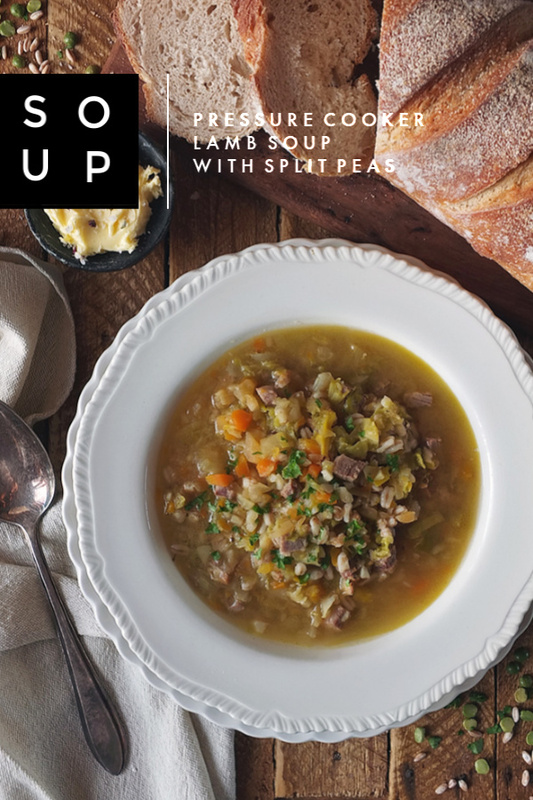 They started this campaign to prove lamb is more than a roast dinner with mint sauce, bringing you easy recipes created by real people like myself who have a passion for cooking. Lamb is an incredibly versatile ingredient, available in a wide variety of cuts which can be easily prepared into your favourite meals. 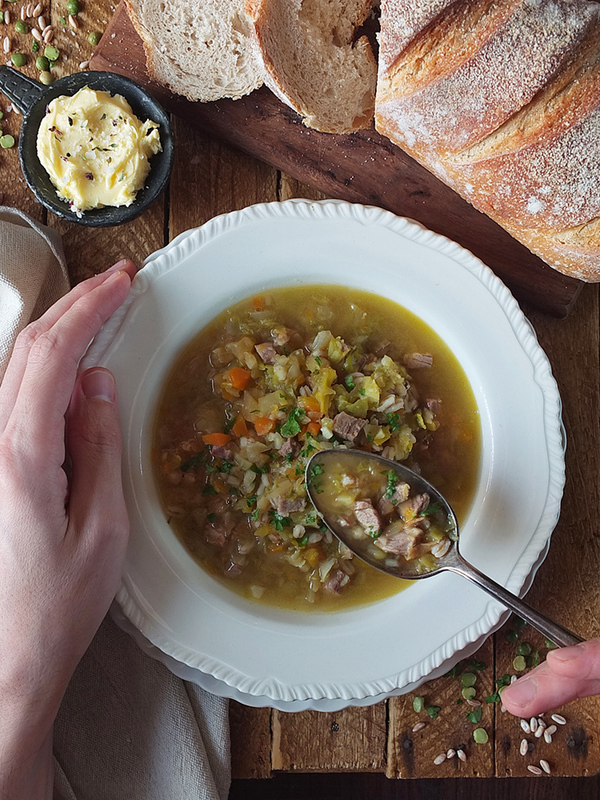 This leftover roast lamb soup is ready in just under half an hour if you use a pressure cooker. It makes for a perfect packed lunch with plenty of vegetables, pearled spelt and green split peas. Heat butter in your pressure cooker bowl. Select SAUTE and set the timer for THREE MINUTES. Saute the onions, leeks, celery, carrots, turnips and parsnips. Add the leftover cubed roast lamb. Rinse the pearled spelt (or barley) well and add to the pressure cooker bowl. Rinse the split green peas well and add to the pressure cooker bowl. Select SOUP and set the timer for TEN MINUTES. Allow the pressure cooker to depressurize and serve the soup garnished with fresh parsley if desired. Stovetop instructions: you can also make this on the stove top. Simply saute the vegetables in the butter until softened, about 10 minutes. Add the lamb, pearled spelt and split green peas. 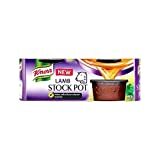 Stir well and add 2 litres of lamb stock and simmer, with the lid off, for 20-30 minutes. 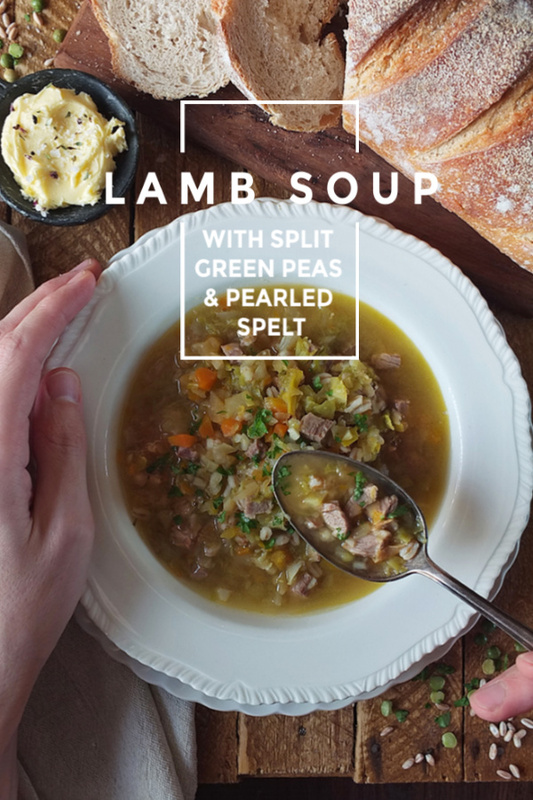 This is a sponsored recipe post in collaboration with Try Lamb, Love Lamb, although all thoughts and opinions expressed are our own. Thank you for supporting the brands who make it possible for me to do what I love: mess up my kitchen and share recipe stories. As an Amazon Associate I earn from qualifying purchases. 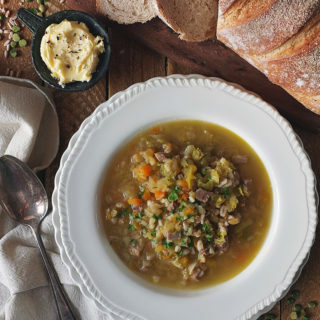 This actually looks incredible – with a wee bit of crusty buttered bread on the side? Perfection! I’ve seen so many amazing Lamb recipes recently. Looks delicious. Looks so warming! I have that mini chopper and it really does make life easier! And great to use a pressure cooker to make the soup easily. 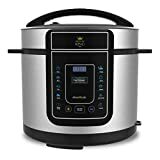 I love that this is made in the Instant Pot! It’s perfect for weeknights and so flavorful. Oh that does look like a tasty warming soup! Perfect for this time of year. Wow, that looks wonderful, perfect for a cold day like today. I crave warm and comforting soups this time of year as well! And this one looks incredible!